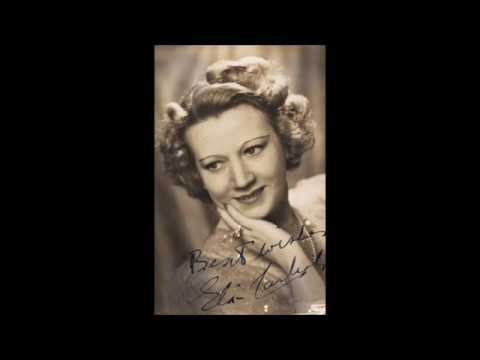 It seems almost a misnomer to speak of Elsie Carlisle “solo” recordings, for she always had accompanists. What I here call “solo” recordings are records on which her name is featured, rather than that of a band, and usually only when the accompanists cannot be safely identified. “Am I Blue?” Lyrics by Grant Clarke, music by Harry Akst. Composed for On with the Show (1929). 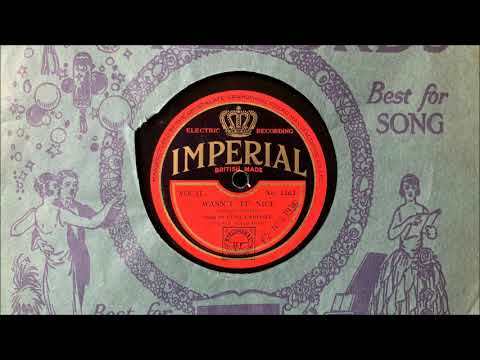 Recorded by Elsie Carlisle (as Sheila Kay) with Cecil Norman and His Band (uncredited) in London on October 16, 1929. Worldecho A. 1012 mx. 119. “Am I Blue?” was a wildly successful composition by lyricist Grant Clarke (also famous for “Dirty Hands, Dirty Face” ) and composer Harry Akst (already famous for “Dinah” , he would go on to write “Guilty” in 1931). The song first appeared in 1929 in the backstage musical film On with the Show, which was the first movie to have both color and sound from beginning to end, though sadly only black-and-white prints survive. “Am I Blue?” is introduced in the movie on stage by Ethel Waters playing herself. Waters appears on stage carrying what appears to be a basket full of cotton; the set behind her shows fields of the same stuff, and she is eventually joined by a small chorus of men dressed as farmhands. She repeatedly asks “Am I Blue?” as if she has just been asked that question. Very much so, her song goes on to say: she finds herself without her lover, who has abandoned her. The song is entirely catchy. On with the Show was financially successful, and the song “Am I Blue?” was recorded prolifically that year and has been perennially successful since then. Elsie Carlisle’s version of “Am I Blue?” seems rather — well, bluesy — when compared to other recordings of the song made in 1929. That quality is doubtless due mostly to Cecil Norman’s band and the arrangement they used. Elsie’s own performance is difficult to describe. She is always uncommonly good at torch songs and other tearjerkers in which she seems sincere in her weepiness. In “Am I Blue?” however, it is as if she has found a song of that genre which she likes so much that it is mostly her ebullience, playfulness, and virtuosity that come through, not sadness. Elsie either had a genuinely good time making this recording, or else she gives the impression of having done so. Either way, the effect is extraordinary. 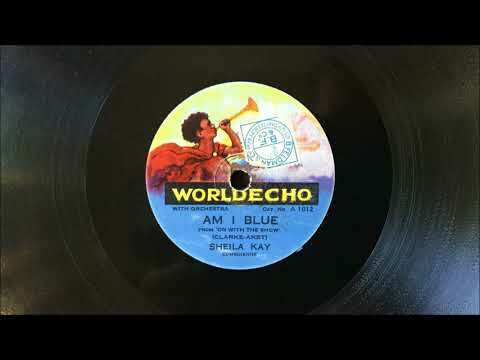 “Am I Blue?” was recorded in 1929 in America by Vaughn de Leath (as Betty Brown; also with B. A. Rolfe’s Lucky Strike Orchestra; also in a medley with the Edison Bell All Star Ensemble; and with the Colonial Club Orchestra), Ethel Waters and The Travellers, the California Ramblers (v. Irving Kaufman), Annette Hanshaw (as Gay Ellis, accompanied by the New Englanders), Irving Mills and His Modernists (v. Billy Murray), Tom Gerunovitch and His Roof Garden Orchestra (v. Jimmy Davis), The Dorsey Brothers and Their Orchestra (v. Irving Kaufman), Bill Moore’s Syncopaters (v. Paul Hagan), Helen Richards, Grace Hayes, Libby Holman, Ben Selvin and His Orchestra (v. Smith Ballew), Jimmie Noone’s Apex Club Orchestra (v. May Alix), Nat Shilkret and the Victor Orchestra (v. Don Howard), and Stella Haugh. 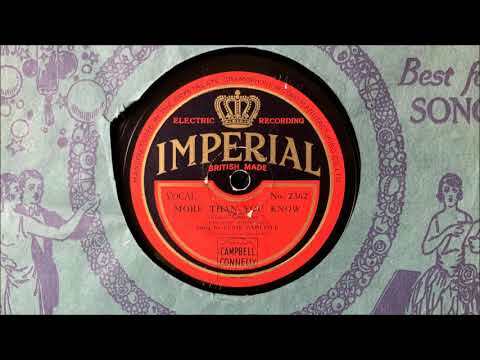 Seger Ellis and His Embassy Club Orchestra appeared playing it in a film short; a radio transcription survives of the Dixie Shoe Steppers playing it in a medley; and there are Vitaphone recordings of “Am I Blue?” being performed by Jeanne Fayal with Jack White and His Chateau Madrid Orchestra and by Frances Shelley and the Four Eton Boys. 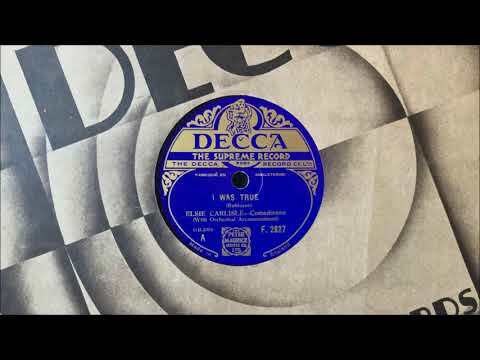 Other 1929 British versions of “Am I Blue?” are those of Jack Hylton and His Orchestra (v. Sam Browne), Herbert Jaeger and His Orchestra, Bidgood’s Broadcasters (first as the Manhattan Melody Makers with vocalist Mabel Mann, later in a medley with vocalist Tom Barratt), Maurice Elwin, Lily Lapidus (with Arthur Roseberry’s Kit Cat Dance Band), John Firman’s Arcadians Dance Orchestra, Eddie Harding and His Night Club Boys (v. Tom Barratt), Alfredo’s Band (v. Eddie Grossbart), Anona Winn, Ambrose and His Orchestra (v. Lou Abelardo), Jay Wilbur and His Orchestra (v. Les Allen), Jim Kelleher’s Piccadilly Band (v. Fred Douglas), and the Rhythm Maniacs (in a medley).